For the majority of domestic cases, the services of an experienced divorce lawyer are sufficient. In a normal divorce case, the emphasis is on avoiding protracted litigation and securing a fair and cost-effective outcome for the client. Often, the lawyer will rely on his or her experience with other such cases, knowledge of the law, and relationships with the judges, attorneys, custody evaluators and therapists who make up the local divorce community. However, high-conflict, high-asset divorce cases are often unique. Unfortunately, the very experiences and relationships that make a divorce attorney good at the normal divorce, work against the attorney in high conflict and complex domestic relations litigation. For these cases, you need a trial lawyer, not a divorce lawyer. I am Rob Frank, a trial lawyer in Lewisburg, West Virginia. 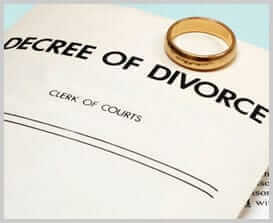 Often times, complex and high-value cases require the attorney to take positions that an ordinary divorce lawyer may avoid out of fear of adversely affecting his or her relationships within the divorce community. Rather than avoiding protracted discovery or a full-blown trial, high conflict, complex and large-estate cases often require extensive discovery and evaluation of complex business, personal, and financial relationships. Complex divorce also requires an actual trial, rather than the one half-day hearing divorce lawyers usually have. In a high-conflict, complex, or high-asset divorce case, the emphasis must shift from a quick and cheap resolution to aggressively using the law, procedure and facts of the case to maximize the outcome for the client. I have represented clients in extremely high-conflict, complex, and large-estate cases, including some of the best lawyers in the nation (as named in the Bar Journal of Preeminent Lawyers) in domestic relations matters. I have represented parties as diverse as railroad tycoons and CEO’s wives in large-estate cases. I am experienced in conducting the discovery required to find hidden assets and income, in dealing with allegations such as infidelity and sexual abuse, and in cross-examining the very best experts in domestic relations cases. It is not inexpensive to hire a trial lawyer to represent you in a divorce case. You need to ask yourself, “Is my domestic relations matter a normal divorce case, or is it of sufficiently high conflict, complexity, and value that I need to hire the best trial attorney available? For more information or to schedule a consultation, call me, West Virginia contested divorce attorney Rob Frank, at (304) 520-0702 or fill out the contact form on this website.